After repairing the Inverted V, I took part in several contests. The first contest was the CQ WW DX CW contest. 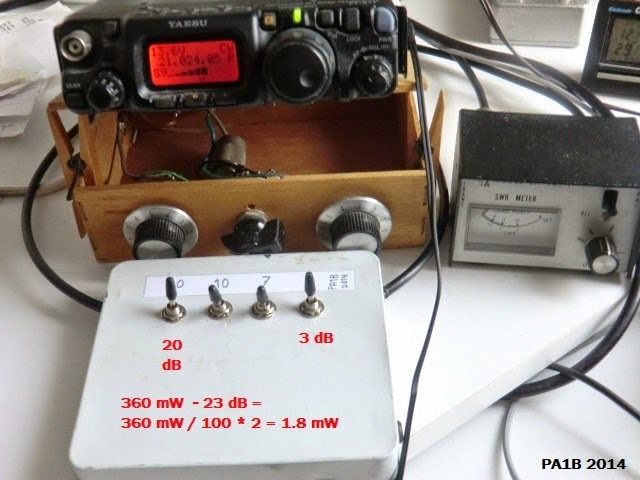 "PA1B Fast and Accurate 40 dB Power Attenuator"
in a contest with a large activity. In the first 5 QSO's were made with 3 watt to 400 mW. After 5 QSO's the signals were getting stronger, so I could use the attenuator. With signals over S9, it was possible to make QSO's with a power of 72 mW and 36 dB. The 18th QSO, with RM5A, was the first QSO below 10 mW with 7.2 mW. So this was very promising. The 19th QSO with YT7Z was made with 1.8 mW with the attenuator switched to 23 dB and the set on 360 mW. An attenuation of 23 dB gives a power ratio of 1/200. 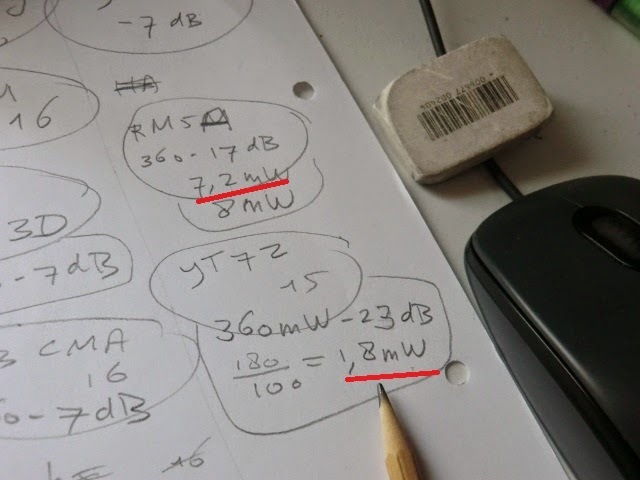 So the power is 360 mW / 200 = 1.8 milliwatts. With one hand on the keyer and one hand on the switches of the attenuator, I can switch the power in a "milli"second. Now I never miss an opportunity to answer. hi. Immediately after each QSO I note the power of the set and the position of the attenuator in dB. Further I calculate and note the power. Gisteren. 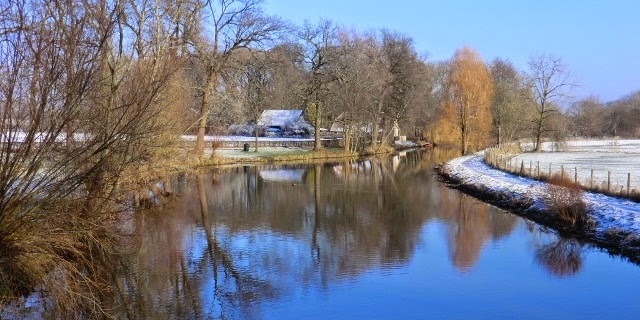 op derde kerstdag, heeft het voor het eerst dit jaar gesneeuwd. Vandaag hebben mijn vrouw en ik heerlijk gewandeld bij Rhijnauwen. De sneeuw zorgt voor mooie plaatjes. In the CQ WW DX CW contest, I used the PA1B fast and accurate 40 dB power attenuator for QSO's. During the contest I experienced that the attenuator is even faster than I expected. I am very happy with this fast attenuator. The attenuator has sections of 20 dB, 10 dB, 7 dB and 3 dB. In most situations one switch is switched OFF and an other is switched ON, to increase the power with an step of 3 or 4 dB. Which makes the attenuator easy to operate, with one hand. I experienced that with this attenuator, the power can be increased instandly. So I am immediately ready to give my call again, with slightly more power. Until now I used an attenuator of 10 dB or 20 dB and the adjustment of the FT-817 to set the power for QSO's with very low power. E.g. 50 mW. When I must increase the power of the FT-817, because my signal was not heard, I must push the botton of the menu to set thepower 3 times to double my power. The time to change the power of the FT-817 is too long to be ready to answer the next CQ, when my signal is not heard. But now I never miss an opportunity to answer.